I believe that the classroom environment is the #1 teacher. In fact, children learn best when they have an environment where they are provided with lots of hands-on-activities that includes: exploring, discovering, problem solving and questioning. Are you doing most of the teaching? If so, today I want to inspire you to create a classroom space that does most of the teaching and that inspires Learning. 1. De-clutter: Children learn best in an organized environment. If it does not belong in your class, remove it. Think about how you feel when there is clutter on your desk? If your answer was overwhelmed; that’s how children feel in a cluttered environment. Be sure that your classroom space is always organized, with the exception of playtime! 3. Create a Literacy Enriched Environment: According to Early childhood News, “In a well-established and well-organized classroom, there should be print everywhere!” This includes: Labeling toy containers, having a word wall, lots of books and so much more. Discover how to create a literacy enriched environment today, click here. After you makeover your classroom space, expect positive feedback from parents. In fact, parents love an organized, literacy enriched and educational environment for their children. That’s all for now and I think it is time for you to get to work on your classroom space!I would love to hear from you, be sure to leave your comment below. 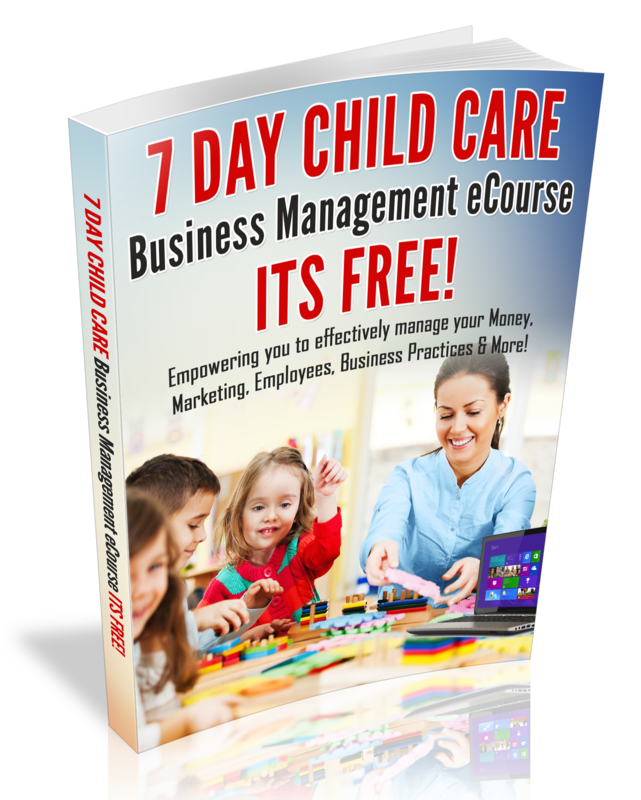 Check out the Child Care Business Owner Curriculum Club,Join today! As I was conducting my weekly classroom observations, a three-year old began to roll a car down my leg and my back. I must say that I began to feel very relaxed as she rolled the car against my leg and back. Then I noticed another child sitting next to me playing with some play-doh and she asked me to smell it. As I sniffed the playdoh, it brought back childhood memories that I had about playdoh. In fact, I shared the Aha moment with the teacher in the classroom and she was so excited to discover that smell can bring back a simple childhood memory. After my Aha Moment,I was reminded that smell can trigger a memory and if smell triggers a memory, than sensory play has to be great for a child’s brain development! Moreover, this is why I believe that it is important to have materials in the classroom that children can smell and experiment with. Normally, I would have told the three-year old to only roll the car in the block area, however, I was amazed and soothed by the feeling of the car rolling against my skin. Furthermore, I thought about how children should be encouraged to be creative with how they use the materials, such as rolling cars on their friends; it just may calm down an excessively hyper child. I shared this Aha moment with you to encourage you to provide more sensory play in your childcare business, because it is a great way to stimulate a child’s brain. Feel free to share an Aha moment that you have experienced recently in your childcare business. I look forward to reading your thoughts about this post.